Those celebrating their ruby wedding anniversary know that love has no bounds. Finding a gift to match that sentiment involves determining what is most important to your spouse or, if you are the happy couple's friends and family, knowing what makes them tick. 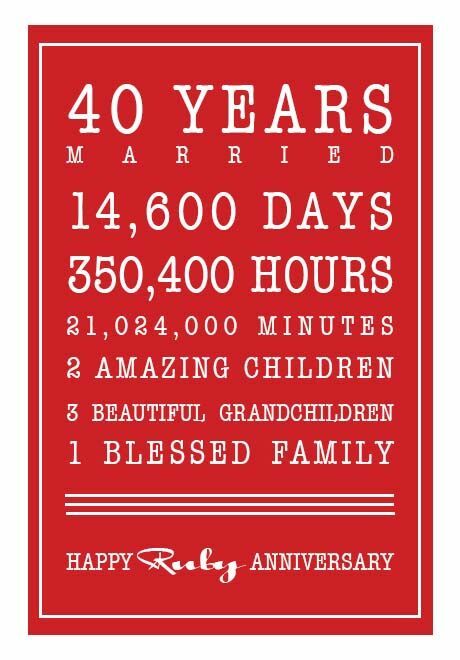 The wonderful thing about celebrating 40 years of marriage is that both the traditional and modern symbol for gift-giving is 'ruby' which means the potential for romance abounds using the passionate, seductive, loving colour red. 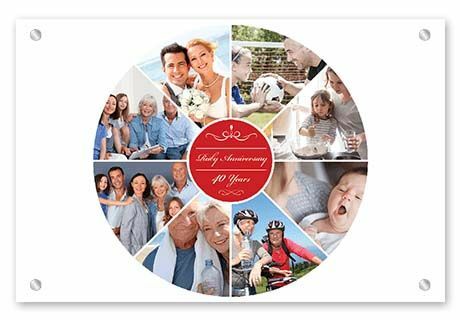 Impress guests at your loved one's anniversary party with a beautiful montage of family photos. Sure, you could cut and paste scrappy hard copy photos onto a piece of card, but this idea - to print a collage on quality glass - is much more thoughtful. 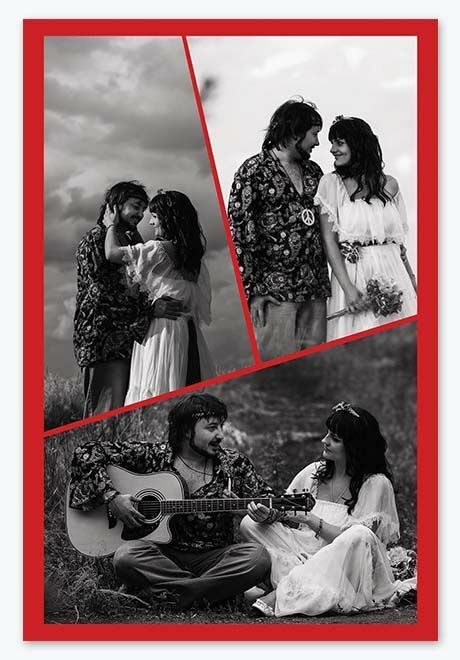 Use a modish design with nine frames to present the love this couple has brought into the world. Love of each other. Love of children. Love of grandchildren. If she's the type to dry the fresh roses you give her so the joy of love lasts longer, she'll love this special bouquet. She will enjoy roses every day of the year with this gift of ruby roses. 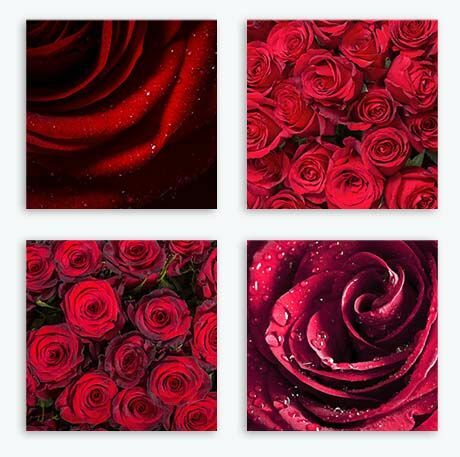 Source four beautiful rose images and place them across four canvas frames to bring this vision to life. You can source your own images online from sites such as Unsplash, Flickr or Pexels or check out our own Canvas Art library via the front page of our website. Once you've found the four photos you'd like to use from our library, send the links to our support team via email and we'll happily build the canvas for you. Mark 40 years with a fun quote that reveals all the 'big stuff' the amazing couple has experienced together. After 40 years, you deserve only the best which is why classy brushed aluminium is the ideal material as it provides a very real sense of occasion. To achieve this look you can either find a family member who's a graphic designer to put something together or, if you like to DIY, take a look at Canva. Canva lets you create word art without the need for any technical skills whatsoever. If you have a good eye for design, this tool is wonderful. 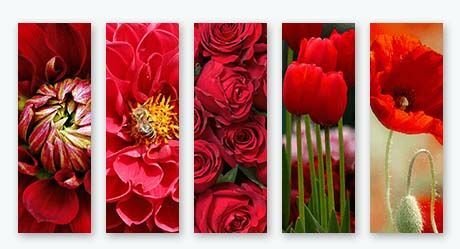 For an upright (or portrait) canvas, glass or metal print, choose the Pinterest Graphic option in Canva. Choose a layout you like from the left and select it to place it on the page. You can change background and text colours as well as change font size and style. It's a lot of fun. Once your design is complete select 'Download' then 'PDF Print'. This will give you the highest resolution image that the tool allows. Convert your PDF to a JPG or PNG then use that digital image to create your canvas at The Canvas Factory. If your kids are keen to get nana and pop something from the heart to celebrate their fabulous milestone, this gift will hit the sweet spot. This wall display, featuring the milestone couple with their grandkids is sure to bring a smile to their faces on their special day. The bonus is the kids can be involved in the creation process from beginning to end - choosing the photos, designing the canvas and sending it to print. If you're keen to avoid 40th wedding anniversary gift ideas that are seen once then locked away in a cupboard forever, consider a work of art. The wonderful thing about choosing art these days is that it doesn't have to cost a fortune to look wonderful on the wall. 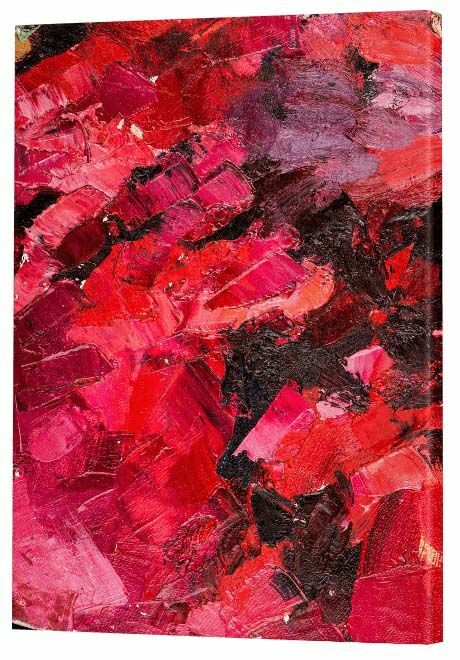 This stunning ruby red abstract print from our Canvas Art library is just one of a multitude of art options available. If abstract is not your spouse's cup of tea there are plenty more options available, both fine art and photographic images. In fact, we have over 20 million high quality images you can choose from. A new piece of art for the home is something you can both enjoy, something that will lift your interior design and be appreciated for years to come. Another idea is to paint something yourself, but if you're not the arty type this is the next best thing. The key to making an impact is purchasing this art print at the largest size we offer. Alternatively, you can create your own wall display featuring three different smaller ruby artworks in a row or four different works in a square. Getting old doesn't have to mean getting boring and this hip 40 wedding anniversary gift will bring back lots of fun memories. Transform old wedding photos into new works of art using a fashionable collage that will give old memories new life. Take advantage of our wide collection of collage options and choose something that speaks to your partner's personality. This three-framed modish collage design is one of 13 different modish layouts available. 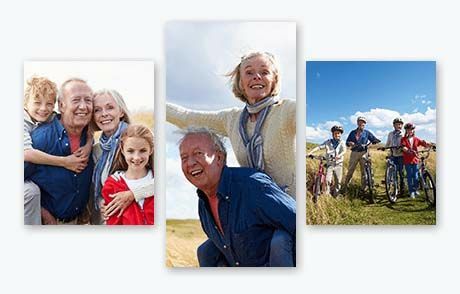 With collages featuring from three to 17 frames, you can use as few or as many photos you like. The wonderful bonus about building your collage using our collage builder is that you can change the photo or border colours to whatever you like. Your photos can become monochrome (black and white), sepia or inverse with the click of a button. Your border colour can become whatever colour you choose. You can use colours from our colour palette or enter your own hex colour code. Don't get too carried away with your creativity though. There's 'funky' and then there's 'fail'. Less is always more when it comes to design. 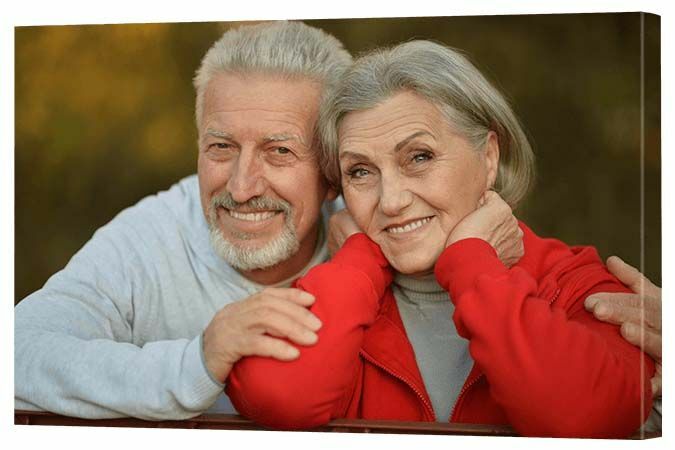 Romance your husband or wife of 40 years with quotes that reflect a life of love and loyalty. This beautiful ruby and gold glass display is a wonderful way to express to your spouse how you feel about this momentous occasion. Embrace your ruby year by printing five radiant red flowers onto quality metal, a gift that will lift you and your partner's spirits each and every day. These ruby red reminders, a classy addition to a bedroom, kitchen, living room or library, will act as a daily visual representation of what's most important in your life together - each other. Red flowers will bring energy and passion back to your heart and your home. 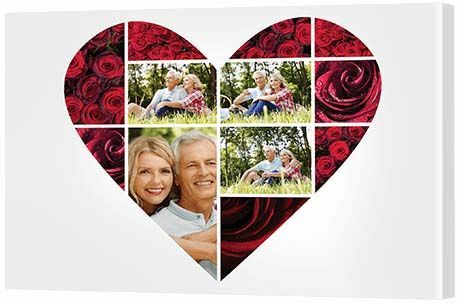 Modernise your 40 years of love with a stylish silhouette canvas collage. Intersperse images of the both of you having a wonderful time together in a joyful setting along with images of roses for that ruby anniversary touch. To achieve this contemporary look, you can organise a professional photoshoot or simply collect photos from your own recent digital library. Why give just roses when you can give your heart? Use words from the heart surrounded by plenty of feminine charm to bring sweet romance home to your wife. This quote says it all, but you can choose whatever words you like - as long as it's from the heart. 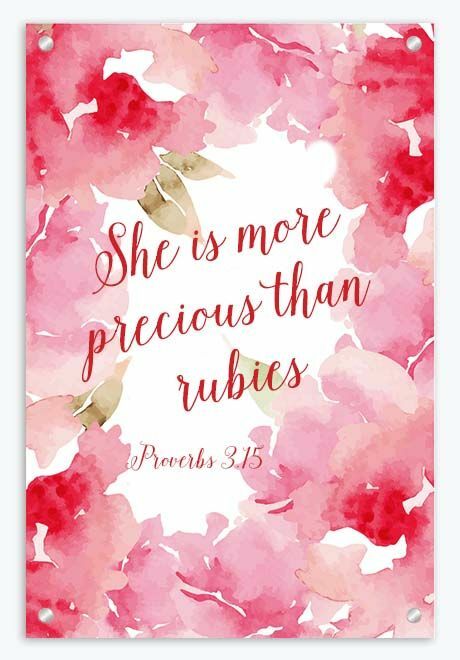 You might like to gift these words with some ruby earrings or a jewellery voucher so she can choose her own ruby gift. Alternatively, if you cannot afford expensive jewellery, these words will say it all. Love always means more than money, so you know she'll understand. This quote is actually a proverb from the bible, so if that doesn't resonate there are thousands of different love quotes you can include. Any Google search on the Internet for 'love quotes' will bring up a plethora of ideas. All you have to do is use a tool like Canva or Photoshop (or find a graphic designer), source a gorgeous floral background and write your quote. Printing on glass adds an elegant fresh feel, but you can also print to canvas or brushed aluminium. When you tell your wife you designed it yourself, she'll be awestruck! Revel in the here and now with a collage featuring the fun, adventurous activities you enjoy together. Do you have a shared love of the beauty of the rainforest, the marvel of the reef or the excitement of big city culture? 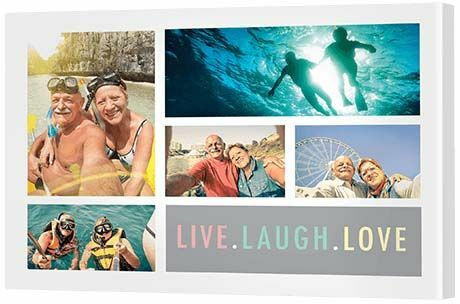 This collage gift is all about putting together a photo series of the things you love most - the fun stuff! Tell a story of your travels using the time honoured tradition of photography. With canvas printing, you're simply giving it a more modern twist.